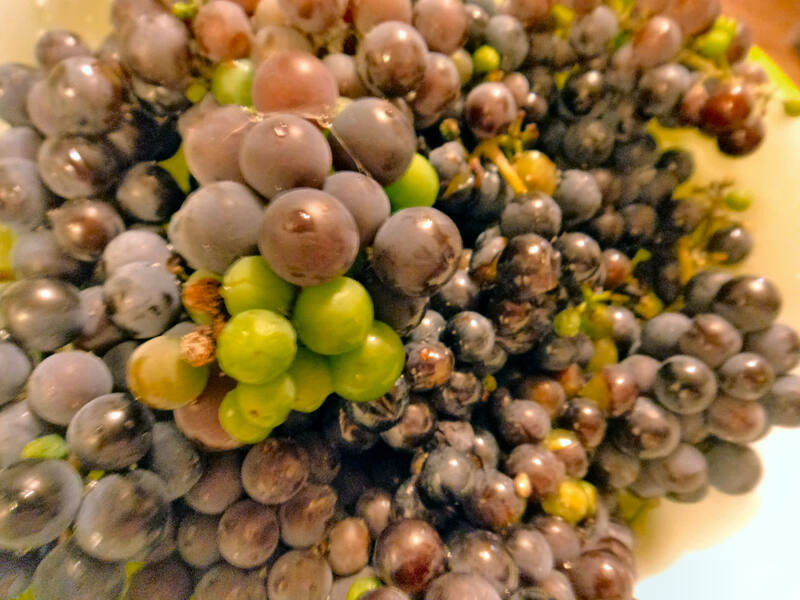 Wild Grapes - 1st harvest. 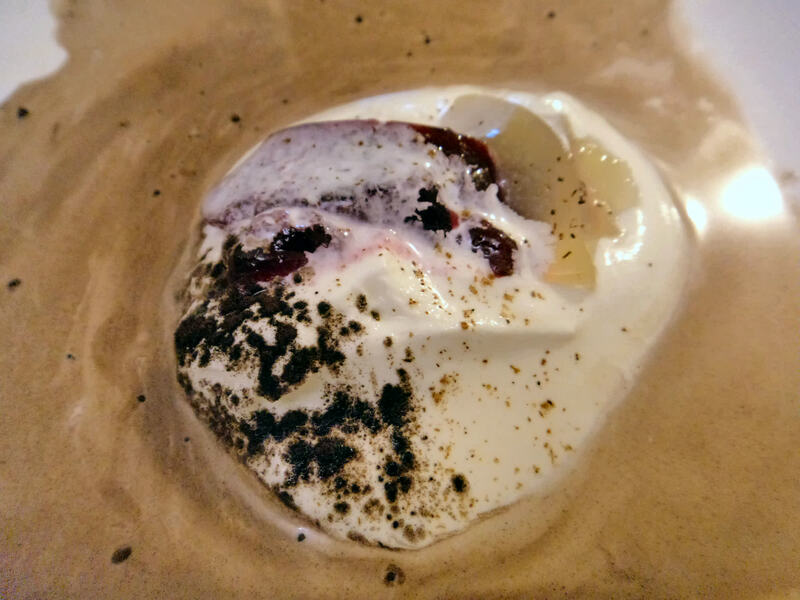 Wild grape jelly and lime jelly in whipped cream dusted with dark cocoa. 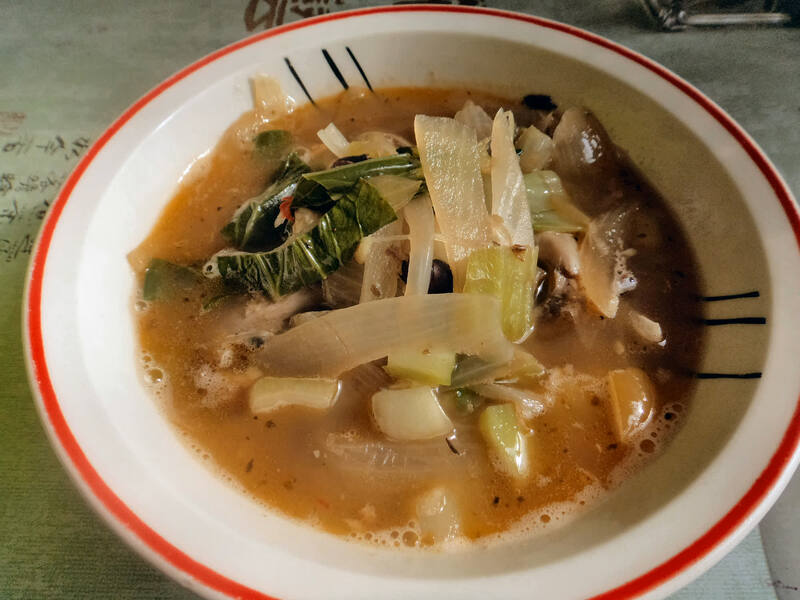 Asian style spicy bokchoy soup. 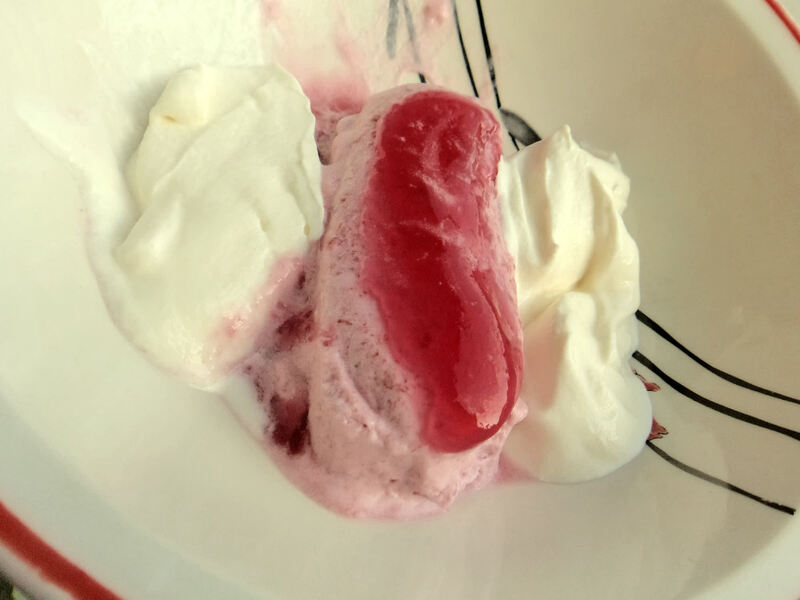 Grape mousse made with cultured whipped cream with wild grape juice and shining grape gelee layer served between two lumps of thick cultured cream. 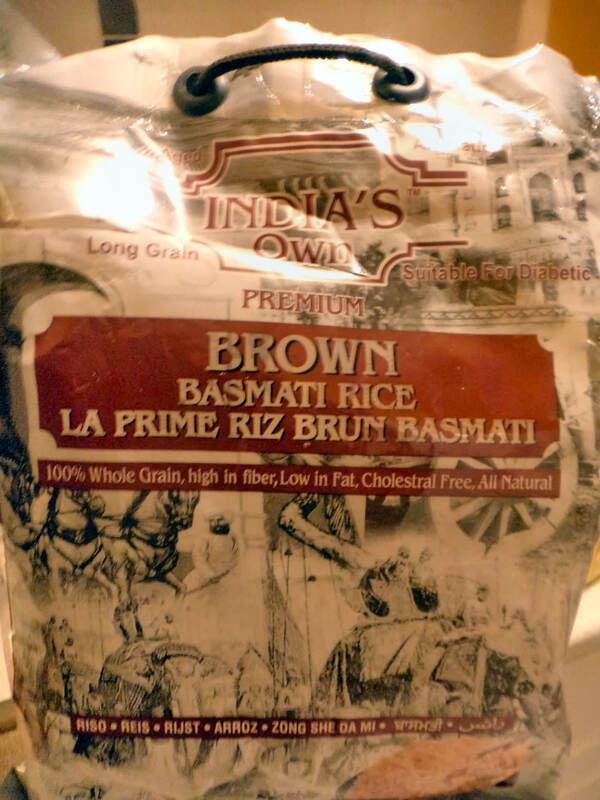 Indian brown basmati rice - the new staple. 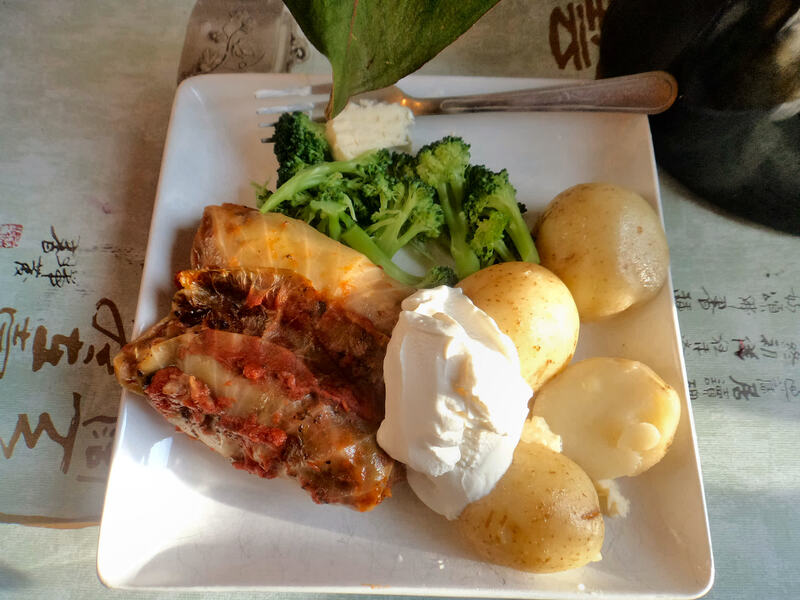 Cabbage rolls with beef and brown basmati rice inside covered with tomato sauce from Italy served with potatoes and broccoli and a dollop of fresh cultured cream. Overripe nectarines slow-baked until ultra caramelized and slightly alcoholic. The fruit caramelizes similar to apples in pie but more intense. 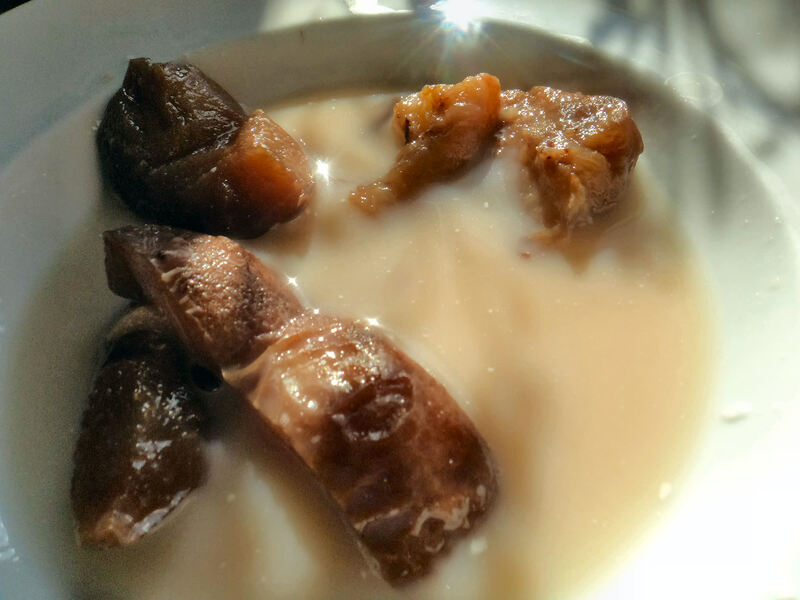 Served with the juices from baking and milk and mandarin slices. Very sweet dessert, even with no sugar added. Making boulangere potatoes. http://www.jamieoliver.com/recipes/vegetables-recipes/boulang-re-potatoes/ Using pork stock, rosemary, thyme, bit of allapice and lard on top with old cheddar cheese chunks. 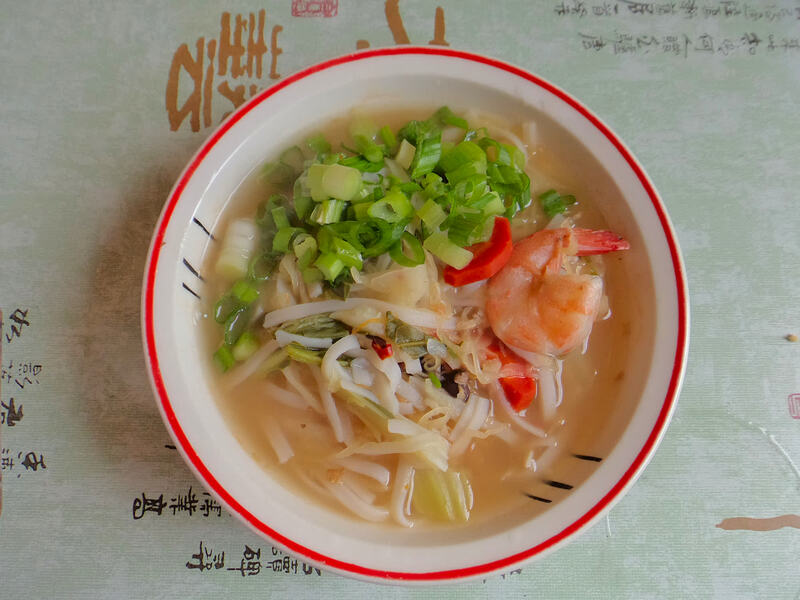 Served with lots of diced lemon zest and finely sliced green onion, tuna in oil, cherry tomato halves on a bed of lettuce. Very tasty combination of tuna and tomatoes, and the lemon zest makes everything taste better, especially the potatoes which are laden in fatty stock, butter and lard and super melted cheddar cheese blobs. tip: Best making these with a lamb shoulder cooking on the rack above. The juices dripping down on the top of the potatoes make them REALLY chewy and crispy. 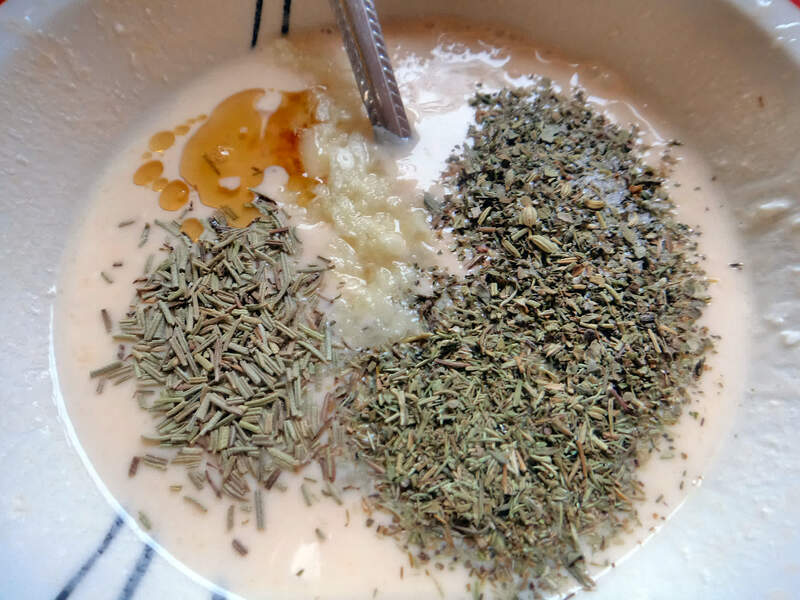 Marinade of half tangerine juice and half cultured cream with rosemary, thyme, italian spices and garlic for roasted chicken.